Compiled by: Hans Stumme †. Author: Harry Stroomer. Series edited by: Harry Stroomer. The Berber languages, along with old Egyptian and the Chadic, Cushitic, Semitic as well as Omotic languages, belong to the phylum of Afro-Asiatic languages. Nowadays, Berber languages are found from Egypt (Siwa) across Libya and Algeria to Morocco and from the shores of the Mediterranean Sea to south of the Sahara, see berberophone areas on the book covers. Tashelhiyt is the largest single Berber language spoken by about 6 to 8 million people, predominantly in South Morocco. In this volume the author presents a selection of 46 folktales from the collection of Hans Stumme (1864–1936). 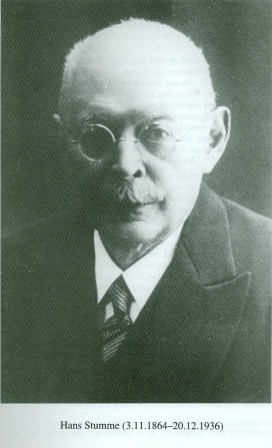 The tales originate in the writings of this renowned Lipsian Arabist and Berberologist, titled Märchen der Schluh von Tazerwalt (1895) and Elf Stücke im Silha-Dialekt von Tazerwalt (1894). The reader will find examples from a wide variety of genres, ranging from fables and animal stories to legends and fairy tales, riddles, tongue-twisters, imam/taleb stories, as well as narrations of jokes, magical and heroic deeds. These stories are of great literary value and appeal because of their narrative clarity. 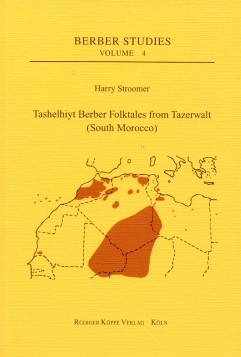 Harry Stroomer has prepared the selected tales linguistically for the present book by retranscribing Stumme’s sources with the support of Tashelhiyt native speakers. The result is a phonologically and morphologically consistent modernised version of the texts, with the added benefit of English translations. Therefore, this volume displays the wealth of Tashelhiyt storytelling to a wide audience of Berberologists, Orientalists and people in general interested in Moroccan oral literature. In addition to this text collection, the following editions in English or French are available, see the links below.